Take a look! Are there any apps I'm missing? Let me know what you think @timothybucksf on Twitter. Quitter is an awesome little free tool from Marco Arment that automatically quits or hides apps after they have been inactive for a set period of time. Sequel Pro is a full-featured app for managing databases. I use it for running SQL queries at work, and I’ve been quite happy with it. I have no idea why this is free. Firefox was a great browser. Then it wasn't anymore. In my opinion, Chrome has followed the same path. It used to be really good, but now it's a bloated RAM hog. Because of my frustrations with Chrome, I started looking for an alternative. Firefox Quantum was completely rebuilt from scratch, and I'm really enjoying it. 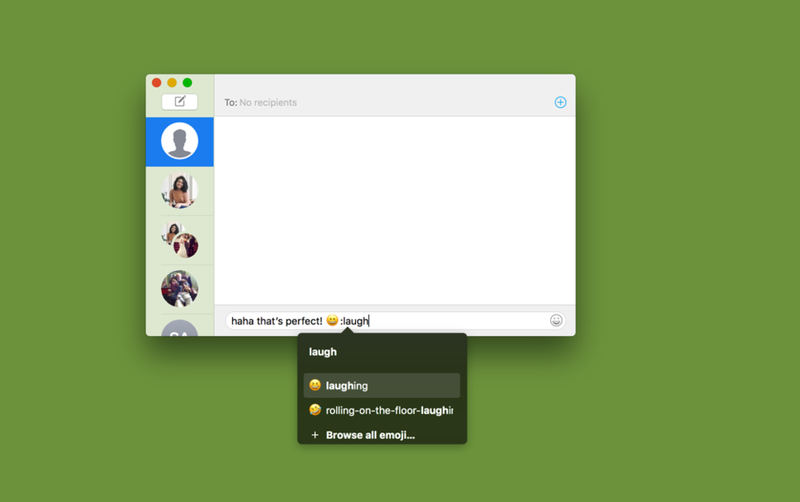 Rocket brings Slack-like emoji to every other app on your Mac. Type a colon, then search for the emoji you want. If you're a developer or have specific apps that you never want Rocket to work in, you can blacklist those apps in Rocket’s preferences. iStat Mini is for the nerds among us. It shows some of your computer's most important stats in the Notification Center. If you want a bit more detail in your stats, take a look at iStat Menus. Deliveries is really helpful if you order a lot online. It's really quick to add new items, and you can view their shipping progress in the app, Notification Center or a menu bar drop down. Deliveries also has an app for iOS that I use as well. Cinch allows you to quickly resize windows to either half of your screen (by dragging the window to the left or right edge) or to your whole screen (by dragging the window to the top edge). There are a ton of other Mac apps that do this, but I've been a happy Cinch customer for years. For more details, read my article 'Cinch Brings Windows Snap to Mac'. Sip is a quick color-picking tool that can be used in any app. It's perfect for making color palettes, and its shortcuts work seamlessly with Sketch, Photoshop, Illustrator, Xcode, Sublime and more. Who uses RSS anymore? Well, most of you probably don't. But if you do and you're looking for a good RSS reader for Mac, Reeder 3 is a good option. This is one of my favorite apps for the Mac. It's perfect for cleaning up a messy menu bar. If you're looking for a solid markdown editor, iA Writer is a great choice. But fair warning, there has been a lot of competitions in the markdown editor space, so it might be worth looking around. Alfred is a bit of everything. It’s like Spotlight with text expansion, workflow automation, clipboard management and more, all in one tool. It's incredibly powerful, super customize-able, and I've happily used it every day for years. Hazel is a classic Mac app. It watches any folders you tell it to and automatically organizes files based on the rules you create. Fantastical is the best Calendar I've found for the Mac. It's way better than the default calendar app. If you want more detail, I reviewed it way back in 2014. Scrivener is an incredible tool for long-form writing, outlining and researching. If you're writing a book, definitely try out the Scrivener free trial. Things 3 is my favorite to-do app for Mac. It's super slick, well designed and powerful. Check out my detailed article 'Switching from Omnifocus to Things 3' if you'd like more info. 1Password is the best password manager around. It has really good apps for Mac, PC, iOS and Android, as well as extensions for Chrome, Safari, Firefox and Opera. 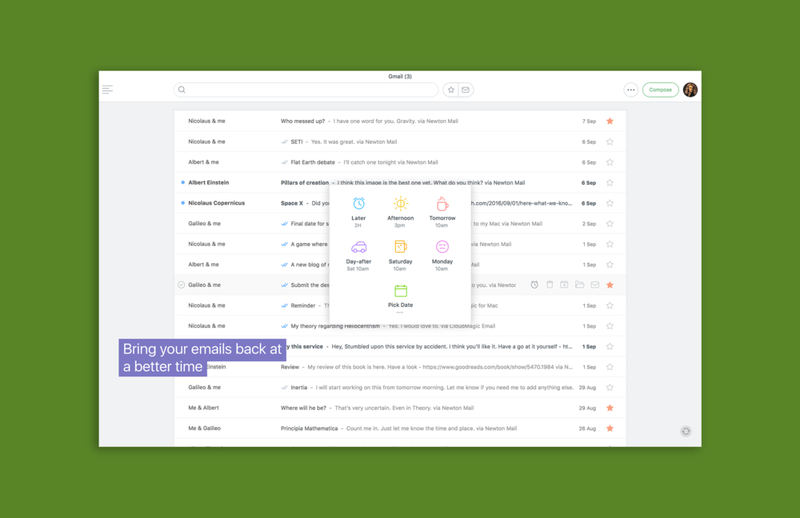 Newton is by far my favorite email app for the Mac. It has a ton of wonderful features—read receipts, snooze, send later, undo send, sender profiles, connected apps and more. If you'd like to read more about it, you can check out my article, 'CloudMagic to Newton'. OmniGraffle is ridiculously powerful. I don't use the vast majority of what it can do, but it's perfect for throwing together quick wire frames and workflow diagrams. Sketch is the best tool around for UI/UX design.